Our new premium clear roof marquees look sensational. This 6m x 9m premium clear roof marquee was the stand out of the show at this bayside party. 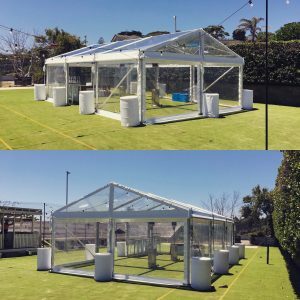 Contact our marquee specialists to assist with all your Clear Roof Marquee Hire Melbourne questions. 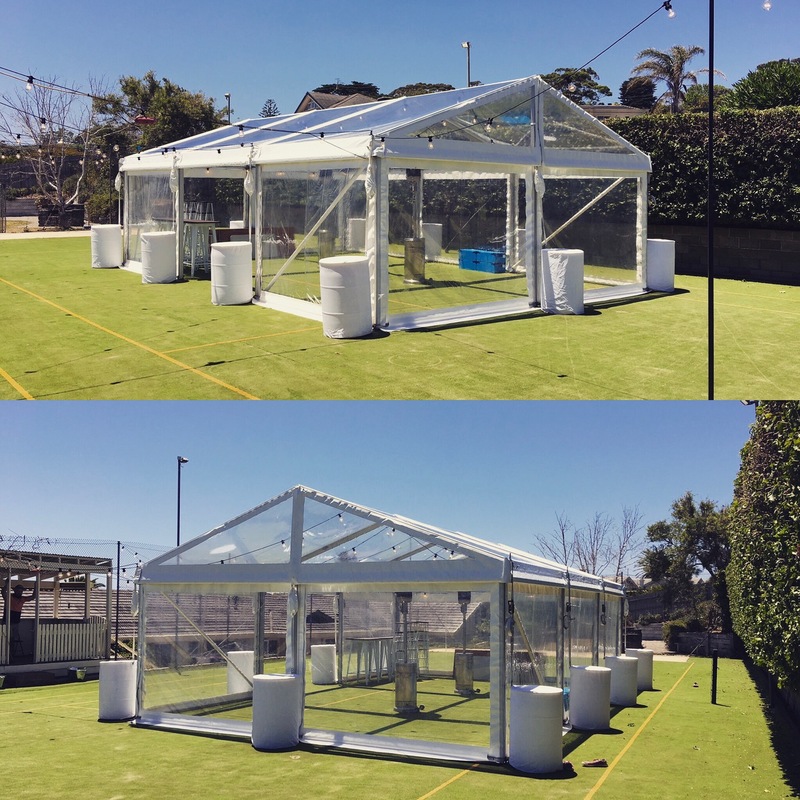 Clear roof marquees bring the outside in while keeping your guests dry and warm. Lined with fairy lights and the effect is stunning. So many options with our premium marquee range.